Mary Elizabeth After a long illness, died peacefully at home on March 17, 2019, aged 77 years, with her Husband in attendance. Beloved Wife of Les. Much loved Mum, Stepmum and treasured Nan. Mary will be sadly missed by her loving Family and many Friends. 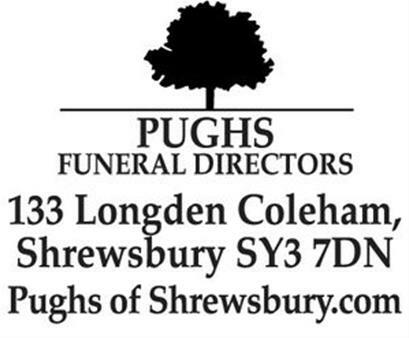 Funeral Service will take place at Emstrey Crematorium, London Road, Shrewsbury, at 12.30pm, on Monday, April 8, 2019. 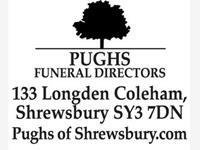 Family flowers only however any donations will support the Service provided by the Dementia Friends Cafe, Royal Shrewsbury Hospital and the local DEEP Group (Part of the network of Dementia voices).